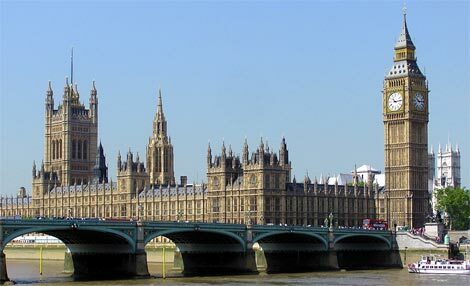 In a speech made by the Cyprus Minister of Foreign Affairs Mr Ioannis Kasoulides at the House of Commons in London, he spoke briefly about the problem of the timely issuance of Title Deeds. It’s all in the words so let’s carefully examine those ‘words’. Firstly, the age old deflective technique of stating that Cypriots are also suffering holds no water. So what? Secondly, the word ‘aim’ is no clear commitment to actually doing anything speedily about the problem and the timescale could extend to yet more years. Finally, ‘wishing to invest’ only refers to those who are likely to alight on Cypriot shores in the future and hardly tackles the problems of those locked into the current corrupt system which, in so many cases, incorporates developer mortgages. In short, this yet again is pure flimflam and will cut no ice whatsoever with those who’ve witnessed over many years the delaying tactics and machinations of government, developers, lawyers, bankers and all those connected to the Cypriot real estate fraternity. Can’t help thinking that if all loans were withheld till AFTER the title deed fiasco was dealt with, it might just gee them up a bit. Otherwise it’s just more flimflam. @hassle – the 1980 value of your house will be shown on its Title Deed. How do I know the value of my house in 1980 when it was built in 2000. Quite simply they can’t. New legislation would be required. Many properties either have an unpaid/outstanding developer’s or other persons mortgage left on them with the “sold” property being left as security or there are planning infringements and homes do not have completion certificates. I have not seen this being addressed in the president’s list of things to be done. I once had a friend called Gloria who worked for a car-dealership on the Fulham Road that used to rent out Mondeoâ€™s to Chelsea football club’s junior players. After theyâ€™d been used for a few years, she could use them at weekends. However, this coincided with her addiction to the Eastenders extended programs on Sundays, so she always lived in fear of missing the omnibus addition when eating her (always delayed) Sunday lunch. To get round this, she used to tape them all and had stacks of old videos. @David – I suggest you download a copy of my free Golden Property Commandments. I was hoping to purchase a property in Chlorakas, Paphos in the near future, but now I am concerned with the fact that, my friend who currently owns the property, has never been able to secure the title deeds. Is this a major problem? Should I look elsewhere for a property? @Maxwell – There may be some good news coming your way – see Cyprus president steps up to the plate. Why are Cyprus delaying the title deeds issue. Can somebody explain what they have to gain by doing this. It seems to me that they have everything to gain by pushing this issue. Awaiting reply please. Gloria Stits. Nice play on words! BTW, has anyone seen Mike Hunt recently? Well they will have to sort it out before they’re allowed to join the EU. Won’t they? Does anyone think the ‘new’ Cyprus government is going to give this the Priority it needs when there are now even more ‘domestic’ issues they will now have to face up to, deal with.? Even if it is an instruction within the MoU? These problems have been allowed to grow, fester for far too long and unravelling them, even under Troika pressures, will take years. Only when they start to unravel the banking (mail) practices that underpin these scandals will sufficiently robust solutions start to emerge. And, Yes, Gloria, I agree, the response from Westminster, Brussels etc so far hardly inspires confidence. How many people in the UK, other than those affected, really know (or care really) about what has been going on so long in Cyprus. And, when finally the underlying political, banking, legal and structural problems DO start to be addressed, they can in my view, only short/medium term add to the further deterioration in Cyprus’ reputation has a once attractive and SAFE place to buy, invest in property. The downward spiral in confidence and property values still has, sadly a long way yet to go. Everyone does not but generally they are not Cypriot so at least there is hope. I hate any sentence containing the words “my friends”. In my experience time to leave the room! How long did it take you to come up with the name or in reality, like all things Cypriot, they are not what they seem? Gavin, sadly, all that you say is true. In any event, we can all look forwards to the fatuous comments made by Mr Kasoulides becoming totally irrelevant when the section of the MoU, which instructs the Cypriot Government to issue the majority of the outstanding Title Deeds by the 4th quarter of 2014, is implemented. This is currently the only way that ‘wishes’, ‘aims’ and ‘flim flam’ will be substantiated with real action. Actions speak louder than words; and we’ve all heard the words before, many, many times. Time Cyprus stopped blaming everyone else and took responsibility for their actions, and inactions. So why then Gavin et al did everyone agree that dealing with a blanket solution via politicians was the way to resolve the issues of the infamous TD’s. No MP, MEP etc….cares whether you get your Deeds or not as long as they get a following and recognition for pretending do be proactive with empathy. Another year of Ziltch my friends ! How can you tell when a politician, developer,lawyer or banker is lying? Question: How can you tell when a politician’s telling lies? Perhaps Nigel would add another point to his golden rules on buying property in Cyprus – Do not believe a single word. Listen to what you are told and then question what you are actually being told. I agree Gavin. I heard the Cypriot Foreign Minister on BBC radio 4 last week, in affect, saying that Cyprus are victims in relation to their economic state. Their default position seems to be to play the victim. I liken this attitude as childlike. As a parent you have to do everything for children at first. However, as they grow you hand over more responsibility until eventually they can stand on their own two feet. The TROIKA/EC will have to be the ‘parent’ of the child called ‘Cyprus’. They will have to guide, sometimes gently but sometimes sternly, to ensure they get things right. Enough of my parent/child analogy! I just hope that Bill Cash (and others) were making their voices well and truly heard by the ‘House’ and the Cypriot Foreign Minister. This was a golden opportunity for our Government to state that we will help with appropriate investment/measures but first you have to put the title deeds issue right for all British subjects who have bought property in Cyprus. Simple as that. If you don’t tidy your room (title deeds) you will not get any pudding (help from the UK). I couldn’t resist one more parent/child analogy!!! Wish I had known he was going to be there I and a few others would have had a word. Is he still here in UK?